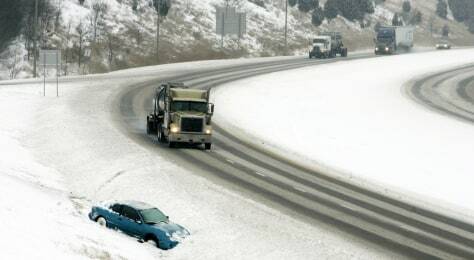 A disabled car sits stranded along I-71 near Glencoe, Ky., on Tuesday. Gov. Steve Beshear declared a statewide emergency as a powerful winter storm barreled through Kentucky.